A culture thrives on its ability to engage with its past and the traditions that help inform its people of their identity. Novels and short stories serve as an unique art form, where history, language, religious and social traditions are woven together and essentially brought to life on the page. In the face of neighborhood and cultural dislocation, fiction writing is the Italian American community's best friend. We are reminded of and exposed to the influences that have and continue to shape us. Tony Ardizzone is a brilliant voice in the realm of contemporary literature, one that the New York Times Book Review has described as "refreshingly original." He is the author of seven books of fiction, including the critically acclaimed In the Garden of Papa Santuzzu; Larabi's Ox: Stories of Morocco, which won the Milkweed National Fiction Prize; and The Evening News, which won the Flannery O'Connor Award for Short Fiction. Tony's work has earned him fellowships from the National Endowment for the Arts, the Pushcart Prize, the Prairie Schooner Readers' Choice Award, the Black Warrior Review Literary Award in Fiction, the Chicago Foundation for Literature Award for Fiction, the Virginia Prize for Fiction, the Lawrence Foundation Award, the Bruno Arcudi Literature Prize, and the Cream City Review Editors' Award in Nonfiction. His stories have appeared in literary journals such as Ploughshares, Agni, Epoch, TriQuarterly and many others. Outside of a long and accomplished career as an author, Tony is also a gifted and compassionate creative writing professor at Indiana University in Bloomington, where he was named Chancellor's Professor of English and received the Tracy M. Sonneborn Award for outstanding teaching and research. His most recently published novel The Whale Chaser involves the largely unspoken history of the internment of Italian Americans during WWII. I recently had the enormous privilege to discuss this new work, along with Tony's insight into the craft of fiction writing, and some of the ongoing issues at play in Italian Americana. Olivia Kate Cerrone: Your novels and story collections are driven by rich, compassionate narratives that exhibit a wide and rather provocative range. Whether you take the reader to the 1960s-era neighborhood of Chicago's North Side or to Marrakesh, Morocco, or the poverty-stricken countryside of 1900s Sicily, the characters one meets along the way are ripe with intimacy and complexity enough to make it easy for the reader to engage with their stories. As a writer, how do you inhabit characters? What specifically, if anything, sparks you to write a particular story? Tony Ardizzone: When I begin to work with a character, I try to imagine what details make the character particular and unique. I do my best to see, and I mean this both literally and imaginatively. Henry James remarked that the writer was one upon whom things, meaning details, weren't lost. So I believe that good characterization begins with observation, with details, with particulars. These are not only physical details, but also actions and gestures, what poker players refer to as "tells," that offer the observer clues about the character, that suggest more than they actually say. In early drafts, I'll give a character an abundance of details—I’ll really clutter things up—and then in later drafts, I'll cut the things that don't seem essential. I try to be logical, and I try not to impose on characters, but rather see what actions and gestures rise from them. I think that setting can be an important device, so I nearly always give characters a well-described place to inhabit, that reflects or contrasts with aspects of their character. In The Whale Chaser, I did my best to give each of the central characters a richly described room or place where the book's narrator, a young man named Vince Sansone, could interact with them. "'Being white isn't something you can get to be,' said the man who could read. 'You either are white or you are not. We're not, so forget about even trying.'" Southern Italians are further dismissed as rats with an "inborn inclination toward criminality." Yet somehow Italian Americans eventually attained "whiteness," but at what cost? Do you believe cultural balance is possible in the face of assimilation? Especially now in these contemporary times? Ardizzone: Well, we all know that whiteness is a construct, and ideas of ethnicity and race are constantly shifting and relative to cultures. When I wrote In the Garden of Papa Santuzzu, I was very conscious of a book the eugenicist Madison Grant wrote in 1916, The Passing of the Great Race. In it he spoke of the "Mediterranean Race," which included the Berbers of North Africa, Spaniards and ancient Egyptians as being "racially identical" with Southern Italians, and therefore racially inferior to the master "Nordic Race." 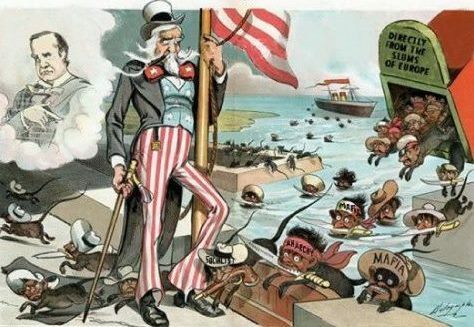 Grant used this argument to lobby for the Immigration Act of 1924, which would prohibit the number of "unfit" immigrants able to enter the United States, based on these ideas of racial inferiority. Italians weren't considered "white" when they first came to the U.S. So there was a pressure upon Southern Italians—upon all "non-white" immigrants—to become "white" and embrace "white" values. Cerrone: Did you feel this pressure? Ardizzone: My parents and grandparents certainly did. And I guess, to be honest, I did, too. Like every kid, I wanted to blend in. As a young boy in Roman Catholic grammar school back on the North Side of Chicago, bored to tears in class, I sometimes used to fantasize that I had a different name. I changed "Tony" to "Tom" and "Ardizzone" to "Arden" and filled pages with my new signature: Tom Arden. The boy everyone in class worshiped was named Kenneth Webb. He had blond hair, clear skin, and was quiet and smart. He was never hassled out on the playground, never taunted with ethnic jokes or slurs, like most of the rest of us were. Everybody, particularly the nuns, loved Kenneth Webb. I really envied him. Ethnically, he was invisible. After a while, I came to realize that what troubled me most was really a strength. When I began writing short stories in college, I realized that I'd been dealt three cards that, if I was smart, I could use for the rest of my life. The first was my name, Anthony Vito Joseph Ardizzone, and all the connotations that a name like that carries. The second was that I'd spent thirteen years in Roman Catholic schools. I had been an altar boy. I had been a choir boy. The third was that I grew up in and intimately knew the neighborhoods of Chicago's North Side. When one of my teachers assigned us James Joyce's Dubliners, my life sort of came together, at least my life as a fiction writer. I saw that I could own Chicago in the same way Joyce owned Dublin, and that I could use my religious background in my fiction. Cerrone: And the third card? Ardizzone: Well, it was a long time before the Italian-American part of me came out because I didn't quite know how to use it, to honor it. I didn't read any Italian-American writers until after I'd finished college, when I was in my twenties. None had ever been assigned. As a result, I had no literary models to base my work on and, looking back, at least part of me still felt ashamed of who I was. My father shared this shame. He was born in Chicago, the first-born son of Sicilian parents, and grew up in the projects, in public housing, on welfare. He didn't speak English until he went to public school. His father was a veteran of the first World War and was later hospitalized with tuberculosis, and so since the age of ten my father was more or less in charge of his family—his mother, two younger sisters, and mentally disabled younger brother. This was the 1930s, during the Great Depression. To make ends meet, each day after school he sold newspapers in Grant Park. He worked two or three jobs his entire life. When I was older, my father told me how much he dreaded every two weeks pulling a red wagon from the projects where he lived as a kid to pick up the groceries the government handed out to the families on welfare. In a letter I still have, my father wrote, "I nearly died as I walked thru all those blocks (8 to 10) with everyone (I thought) watching me. My pride was so hurt. I felt a stigma [underlined] as I pulled my loaded wagon for the whole world to see." Cerrone: In the haunting, but beautifully rendered story "Nonna," from your early story collection The Evening News, an elderly, widowed Neapolitan wanders from her tiny, congested apartment through her much-changed neighborhood in Chicago's West Side, searching for the old bakeries and corner stores that once served as a gathering point for the fellow Italian Americans she knew. Childless and seemingly disconnected from family or friends, she gazes upon the passing faces and street signs, desperate for any trace of Italian, but finds none. She is further disturbed by the looming eviction from her apartment, after having been moved several times already in the past, thanks to socio-political motivations toward "progress" in tearing down ethnic communities to build malls and parking lots. Throughout reading "Nonna," I could not help but think of Tina De Rosa's classic novel Paper Fish, where the Italian neighborhoods of Chicago's West Side are torn down by the abrupt and violent presence of wrecking balls and steamrollers. How essential do you believe is place in terms of nurturing and/or replanting an ethnic community? Ardizzone: Place is essential, absolutely, for any ethnic community. My story "Nonna" is set in exactly the same neighborhood Tina De Rosa set Paper Fish, the near West Side neighborhood Mayor Richard J. Daley decided to devastate so that the city could build the University of Illinois at Chicago. After I finished college, before I went to grad school, I lived and worked in that neighborhood for two years. Chicago has a history of destroying its Italian-American neighborhoods. The neighborhood where my father grew up was on the near North Side, in St. Philip Benizi's parish. It was known as "Little Sicily." Over time it fell victim to "urban renewal" and piece by piece was destroyed to make room for the Cabrini-Green housing projects. The magnificent old church, St. Philip Benizi, built in 1904, was eventually torn down. The Italians of Chicago, like the Italians of Boston and many other major U.S. cities, were eventually driven to the suburbs. They were dispersed, scattered. As were their communities. Dislocation is an ongoing element in my work. The Whale Chaser involves the relocation and internment of Italians and Italian Americans shortly after the bombing of Pearl Harbor. Cerrone: The nature of storytelling maintains a strong influence in the narrative shape and structure of your work. From her book By the Breath of Their Mouths: Narratives of Resistance in Italian America, Mary Jo Bona described you as "a verbal ventriloquist, donning several literary hats, including that of historian, folklorist, magical realist, and contemporary author who unites Italian and Anglo narrative traditions in an effort to simulate the increasingly dual traditions from which Italians in America partake." She goes on to suggest that this narrative style mirrors an oral storytelling shaped by the poverty and disadvantages that the great majority of Southern Italians once faced, as she cites you in an interview: "the fact that the characters don't read, that they tell the stories they have heard before and will tell again." How might the nature of this type of storytelling be one that shapes the culture of a community and how it interacts with one another, but it also defines what it means to be Southern Italian? Ardizzone: With the exception of a few letters my father wrote to me before he died, all of the stories I know about my Sicilian family were told to me, were oral narratives, stories related around a dining room or kitchen table. When I began to write In the Garden of Papa Santuzzu, I set out to create a book that I felt hadn't yet been written. I was teaching ethnic American literature, studying the works of a wide range of other ethnic writers, and I couldn't find a novel that treated Southern Italian immigration to the New World in a more or less complete way. I realized quickly that I should write such a book but that I shouldn't do it realistically, with a more or less objective, descriptive third-person narrator. So I decided to do it basically through voice. The narrative tradition that I used came from my nonna's house, from stories from my father's side of the family. I tried to write in the voices of my aunts and uncles, my father's sisters and their husbands. I remember being seven or eight years old at my nonna's house, listening to the men talking in the front room, as they sat watching a baseball or football game on TV, then running back to the kitchen where the women talked as they worked near the sink or stove or sat around the kitchen table, and all of them were telling stories. As I listened, I came to understand that more often than not they spoke indirectly. Of course part of the reason was because there were kids like me around, kids with big ears. But another part involved their wit, their clear and simple oral art, the joy they'd take when they could say something cleverly. I learned that there were ways to talk without being literal. And I learned that there was language that, if you wanted to understand it, you had to be smart, clever. Perhaps this indirect way of speaking is a defense mechanism tied to Sicily's past, a way of survival against the many foreigners, the invaders, who ravaged the island. As the old saying goes, whoever ruled Sicily, ruled the world. You could tell the history of much of Western civilization by looking at the history of Sicily. Cerrone: Were there other influences at play in writing In the Garden of Papa Santuzzu? Ardizzone: I was reading a lot of books for my ethnic lit classes, and there were two books in particular that influenced me. The first was Italo Calvino's marvelous collection Italian Folktales, which gave me the idea of ending each of my novel's chapters with rhyming couplets, like the Sicilian folktales he related, and also gave me the inspiration to use the form of the folktale as a way to tell a realistic series of stories. The second book was Maxine Hong Kingston's China Men, in which she not only tells the history of a people, but also imagines three different ways that her grandfather might have come to the Americas. I really liked what she did, and I was impressed by the boldness of her imagination. I also felt, after watching The Godfather II, that there would be no way a realistic novel could compete with the amazing landscape that Coppola captures in the backstory section of that film. One of the obligations of writers, of artists of any type, is to make things new. So I gave In the Garden of Papa Santuzzu a ruling narrator, a woman named Rosa Dolci, whose stories not only begin and end the book but also return briefly twice more, in chapters each titled "Caesura." Rosa's a woman with a harelip, the wife of the family's third son. I imagined that each of the book's other chapters was told by a different character in the extended family sitting in a circle one night around a fire, and so the novel makes a circle as each passes the torch of story from one character to the next, until dawn, when Rosa ties the knot. Cerrone: In a previous email exchange, you mentioned to me that writing Larabi's Ox: Stories of Morocco enabled you to write In the Garden of Papa Santuzzu, a novel you mentioned in your interview with the Sycamore Review as one you'd tried writing as early as the late 1970s, but was unable to execute in a satisfying way. What was it about writing Larabi's Ox that inspired you to write a novel so heavily entrenched in Sicilian culture and folklore as In The Garden of Papa Santuzzu? Ardizzone: When I went to Morocco for the first time, I was shocked by how familiar things there seemed to me. People would tell me things that they claimed were uniquely Moroccan, and I understood them almost immediately. For example, they'd talk about the Hand of Fatima, which wards off perception and protects against the evil eye, and I connected that with the corno, with the mano cornuta and the mano fica. They'd talk about water and the spirits that dwelled within water, and I knew about that from the Italian folktales I'd read. I'd be invited into someone's home and served a vegetable dish that my host claimed was uniquely Moroccan, and it would be carduni, prepared exactly the way my godmother, my Aunt Eva, made it. Once I was in Ouarzazate staying with a Berber friend, whose family lived in a house that was probably a thousand years old, a house made of immensely thick earthen walls, and the women who lived there gave me a plate of sweets that were exactly like the biscotti made by my grandmother. I could list each ingredient in them. I recognized so many Moroccan things that I came to realize that what I was really knew was a Mediterranean experience. By that time, I was already reading the work of Italian-American writers—Pietro di Donato, Helen Barolini, Jerre Mangione, John Fante, Ben Morreale, and others—and of course I'd watched the Godfather films many times. I knew that if I was able to write about Morocco maybe I could finally write In the Garden of Papa Santuzzu. I realized that my father's parents came from the African face of Sicily, and so like an Arab my approach to Sicily and Italian themes came from Africa, from the south. At the time I was writing Papa Santuzzu, I hung up old pictures of my grandparents and would often just look at them, asking them for help in how to write their stories until I finally felt I could do it. I tried to imagine what it must have been like to have been my grandfather, whose name I carry as my middle name, as he stood nearly a hundred years ago in Menfi, on the shores of the sea separating Sicily from Africa, as he said goodbye to his parents, who he would never see again, as he made the trek to Palermo where he caught the ship that in 1911 took him to the New World. Cerrone: In your latest novel The Whale Chaser, young Vince Sansone is driven from his home in Chicago by his violently abusive father to a tiny fishing village of Tofino on Vancouver Island, where he works as a fisherman like his father and grandfather, before falling into the local drug trade, and then finally finds his place as a whale guide, or whale chaser. Set against the tumultuous backdrop of the 1960s, Vince undergoes his own intense transformation through wrestling with the demons of his family's past, including those of his grandfather, who was one of thousands of Italians and Italian Americans whose property was seized, and one of hundreds who was interned in a prison camp after the bombing of Pearl Harbor. What inspired you to write this novel? With regards to the experience of Vince's grandfather, how were you able to depict the realities of this tragic but little-known piece of Italian American history through the lens of fiction? Ardizzone: One of my friends, the writer Charles Johnson, who is perhaps best known for his National Book Award-winning novel The Middle Passage, told me that James Allen McPherson once told him that it was the obligation of every African-American writer to put into each story or book they write a little bit of unknown or untold African-American history. I like to think that this suggestion might apply to every writer working with a subject matter or experience that's marginalized, that all writers have an obligation to give voice to stories that are still untold. When I wrote the earliest drafts of The Whale Chaser, I struggled with pieces of a puzzle I didn't yet understand. I knew I wanted to write a novel about a boy who leaves the U.S. for Canada in the late 1960s to escape the violence of the times, and yet I wanted him to leave the States for reasons beyond just avoidance of the draft, and I also knew I wanted to write a book that was partly set in Canada. For the past fifteen years or so I've been fortunate enough to be able to travel each summer to the Pacific Northwest, and as a result I've spent a fair amount of time on Vancouver Island in British Columbia. I wanted to imaginatively explore that experience. I also wanted to work with the theme of abuse--both physical and sexual abuse. There's a psychological dislocation that happens in those situations. Both physical and sexual abuse seemed right, apt, for the book and its larger themes. And of course I knew I'd be working with my three givens: Roman Catholicism, Chicago, and my ethnic background. The first line I wrote is a line that is still in the novel's first chapter: "Like my father and my grandfather, I draw my living from the sea." You can see that I was still affected by the image of my grandfather, as well as the characters in In the Garden of Papa Santuzzu, standing by the sea on the western shores of Sicily. But then I wondered why was this family I was imagining living in Chicago? Why wouldn't a man who took his living from the sea live on a coast? Then, eventually, the novel's backstory came to me. Like other Italian-American families, they'd been displaced from the West Coast. Cerrone: So that's when you decided to research the internment of Italians in prison camps? Ardizzone: One of the historical facts that The Whale Chaser brings to light concerns the seizure of property and the internment of Italians and Italian Americans shortly after the bombing of Pearl Harbor. 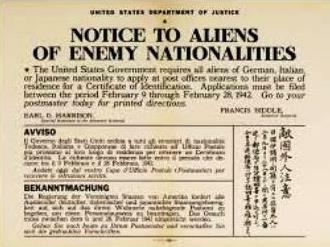 February 1942 is known as la male notte, "the bad night," when tens of thousands of Italians and Italian Americans were arrested as "enemy aliens," when personal property such as radios and flashlights were seized, and when hundreds –some reports say thousands—were arrested and later interned in camps, some for a period of over two years. Several vibrant Italian-American fishing communities in California were destroyed in a single night since the fishermen's boats were seized and impounded. All who fished the Pacific Ocean were restricted. The government feared the boats could be used for spying. Curfews and prohibited zones were created. Due to the travel restrictions placed on Italian Americans, Joe DiMaggio's own parents couldn't even leave their home to have dinner at their own son's restaurant on San Francisco's Fisherman's Wharf. Enrico Fermi, the Italian physicist who helped create the atomic bomb, was prohibited from traveling freely along the East Coast. Consider the reaction to 9/11. Consider what governments are capable of doing. A great irony in all of this is that the ethnic group that served in greatest numbers during World War II was Italian Americans. I imagined Vince's father coming home to Monterey after the war, coming home to the sight of a boarded-up house, to the fact that the family boat had been impounded, finding his mother alone, desolate, his father imprisoned. And while I don't want to make excuses for the violence with which the man treats his son in the novel, I hope the book's readers will at least understand some of his frustrations. He's balanced, by the way, by one of the most gentle characters I've ever written, Mr. Santangelo, the neighborhood butcher, whose lovely daughter Vince falls in love with. So in The Whale Chaser we have the son of the fishmonger falling for the butcher's daughter. That seemed quite right to me. As I was writing the book's early drafts, details and motifs and connections like these began to click into place, and soon I realized that when Vince runs from the U.S. to Canada he had no other choice but to go west. In a karmic sort of way, he needs to recover what was taken from his family, what was stolen from his grandfather. So Vince goes as far west in Canada as he possibly can, to the town of Tofino on the West coast of Vancouver Island. It's the literal end of the road, the western terminus of the Trans-Canada Highway. Cerrone: You mentioned in a previous email exchange about a new collection you are working on called The Calling of Saint Matthew, that is set in Rome circa 2004-05, "with each story generated by one or more of Rome's churches." Could you speak to this new project and what inspired its creation? Ardizzone: I'm hesitant to talk too much about it since the book is still in progress, but I can say that The Calling of Saint Matthew begins in late December 2004, at the time of the devastating South-East Asian tsunami, and ends the following April, with the death of Pope John Paul II. Framed by these events, each of the stories in the collection focuses on, or should I say rises from at least one of Rome's churches, with the narrative of the church's art or history serving as a triggering point, or a sort of generative subject, for that particular story. Those familiar with Rome will recognize that the title story is concerned with the Contarelli Chapel in San Luigi dei Francesi, where three of Caravaggio's paintings hang. The title story focuses on an investment banker from Boston who visits Rome and San Luigi dei Francesi with his wife, Elena. I could go on but let me finish the book and talk more about it then. Stylistically, I'm returning to third person, much as I did in Larabi's Ox, with a narrative stance that relies primarily on specific detail and description rather than on voice. God willing, I hope to be able to finish this book within the next year or so. Cerrone: Thank you so much for taking the time to share with us your experiences. Any last thoughts? Ardizzone: I should be the one thanking you. We all know that the landscape for writers, particularly with the closing of so many newspapers and the death of so many book review sections, has changed drastically, and now readers are hearing less and less about books and writers who aren't best sellers. Nearly all writers concerned with ethnic experiences fall into this group, so let me thank you for your time and the gracious attention you're giving my work. 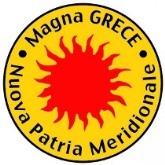 I'm quite complimented that Magna Grece is giving me this space to discuss my writing. Critics like you are vital to the continuation of our art form, our culture, and our literature.